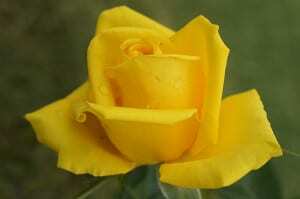 Yellow roses, often regarded as Tea Roses, have the stigma of being extremely sensitive to heat and rain. As the name of this new variety states, it produces large shapely blooms with firm petals of a true, virtually unfading yellow. The bush is vigorous, clothed in glossy deep green, disease resistant foliage and produces long lasting blooms on sturdy stems with few prickles. 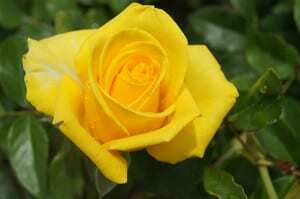 The request we receive so often, for advice on the selection of a good yellow picking rose, will from now on, be very easy to answer.